Are you struggling to fall asleep at night? Do you have a hard time shutting your brain down when the sun sets? While sleep is a big picture issue that can trace back to a more serious issue with blood sugar balance, adrenal health, hormonal shifts, etc., these 10 tips may help you to ease into a better night’s sleep. They’ve certainly worked for me. Start to get your mind in the mood for sleep long before it’s time to hit the hay. Diffusing essential oils works in the limbic system of the brain to calm the nervous system quickly. Good choices for diffusing in the evening are Bergamot, Wild Orange and Lavender, Balance, Serenity, Peace, Cedarwood, or any of the Fir oils. Try not to consume sugar, alcohol or caffeine later than 3pm. If you can remove these things from your diet all together, even better. For me, the coffee is staying but I do limit it to a few cups in the morning. While alcohol may put you to sleep quickly, you’ll often wake in the middle of the night and not be able to get back to sleep. Sugar? It’s just evil. Eat a small protein rich snack at bedtime to stabilize blood sugar levels throughout the evening. You could eat a handful of nuts or seeds, a hard boiled egg, 1/3 of a chicken breast, a handful of chickpeas or Edamame – anything really. Turn off any and all electronics at least an hour before bedtime. You know, have a conversation with a loved one or read a book or something. Pretend it’s 1980. Consider adding Yin Yoga to your life. Yin offers many physical benefits to the connective tissue and fascia in the body and its effects on calming the nervous system cannot be overstated. If you’re new to Yin, find a local studio that offers classes and plan to attend at least twice weekly. Add 15 minutes (just 3 poses) to your evening routine before bed to help you calm everything down for the night. Future Journal. When we go to sleep, we’re going to percolate in whatever thoughts we’re thinking before bed. While journaling can be a powerful exercise, we’re often journaling about upsets or things that didn’t go our way. We’re living in the past. Consider future journaling. Journal AS IF you’re living the life of your dreams. Journal in thanks for having received whatever it is that you’re wishing for. As you fall into dreamland, your subconscious mind will see it as already accomplished and be ready to go get the job done! Spend your last 10 minutes of the day in gratitude. It’s that whole percolating thing. Why percolate in bashing yourself for not coming up with the proper response or the witty comeback? Why let something that someone said or did fester in your thoughts? How about ending your day with a list of people, places and things that you are truly grateful for? Your room should be 100% dark. No alarm clocks (does anyone still use those? ), no phones (seriously), room darkening blinds, whatever it takes to be in complete darkness. This gives your brain (through receptors in the eyes) the message that it’s ok to shut down. Keep a light on? Keep your brain on. Apply essential oils topically about 10 minutes before nodding off. Personally, I use Vetiver on the bottoms of my feet. As someone who slept less than 3 hours a night for 20 years and now sleeps 8 hours a night, I can tell you that yes, it works. Cedarwood is another good choice. I love to massage this into my legs at bedtime. The aroma is super soothing and it’s excellent to calm down and improves the health of your skin. Of course, Lavender is another good choice if that’s your thing. 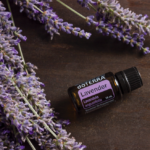 The list of essential oils that act as sleep aids is truly endless. Not sure where to start? Book your consult with me here and we’ll get it figured out together.